Overtime, the floor was abandoned as the Bucks traded up for a newer model. 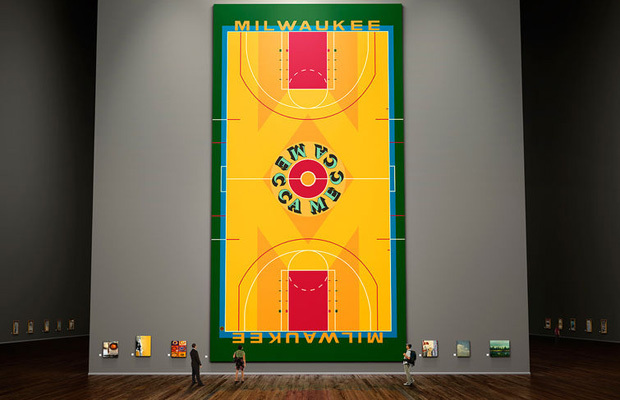 Now Milwaukee local Andy Gorzalski has spearheaded a plan to turn Indiana’s court into a work of art. Gorzalski spotted the sports relic listed as “gym floor” on an architectural reclamation website. Although he did not have the $20,000 necessary to buy the floor, he enlisted Gregory Koller, the owner of a flooring company in Milwaukee, to shell out the cash. Koller died soon after the purchase, but his son Ben has joined forces with Gorzalski and Indiana to display the floor as a work of art at the U.S. Cellular Arena. Visitors can come see what is now the largest work of pop art for $10. After years of being overshadowed by his Pop art favorites like Andy Warhol, Roy Lichtenstein, and Claes Oldenburg, Robert Indiana is finally getting his year in the sun. The Whitney Museum will give the artist his first retrospective in September, and Indiana’s work is set to appear on license plates in Maine (see below). Robert Indiana‘s LOVE typography has appeared all over the world, in sculptures, prints, paintings, and on souvenirs. Now his iconic work is coming to the streets of Maine. 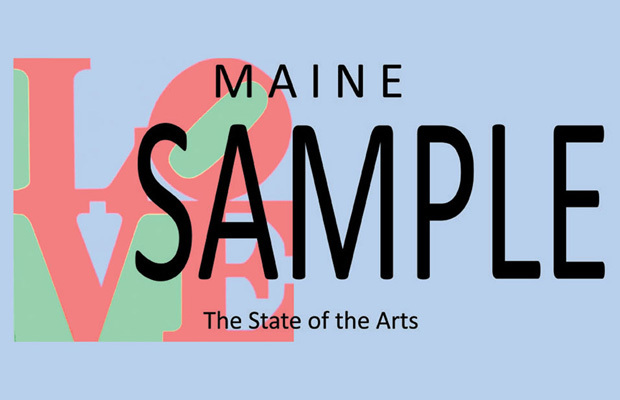 The Maine Arts Commission has designed a specialty license plate featuring Indian’sLOVE that will be sold as a fundraiser for the organization as well as a way to promote arts in the state. If 2000 Maine residents pre-pay $29 for the LOVE plates, Indiana’s work will be made available for all car-owners across the state. View our Robert Indiana collection here. Next Post Labor Day Sale at Gallery Art!